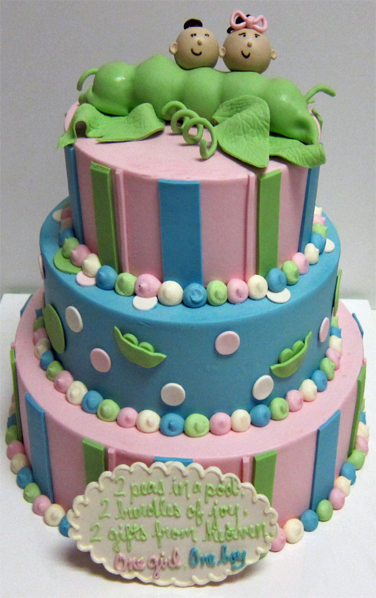 Two peas in a pod baby shower cake perfect for the mom expecting twins! 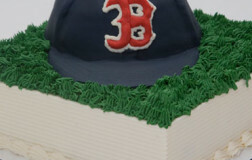 Looking for a custom cake for your next celebration? Fill out our no obligation inquiry form! Three tier cake to serve 35 to 40 guests. 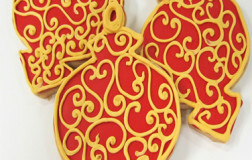 Shown in tinted, smooth buttercream finish. Color and size can be customized. Please order at least 10 days prior to pickup. Since all of our cakes are handmade and customized to suit the needs of our customers, some variations in color and style will occur. Be the first to review “Two Peas in a Pod ” Click here to cancel reply. 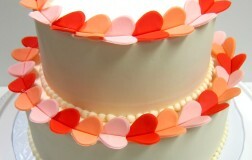 This was such a cute cake; love the heart details in the fun colors. 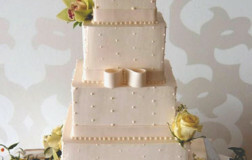 This heart-shaped cake takes inspiration from the bride and groom! Four tier cake to serve 162 guests. Finished in White Rolled Fondant. 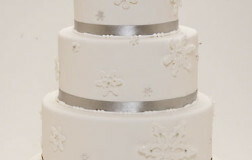 Adorned with handmade edible snowflakes. 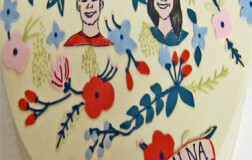 It is amazing how a color can really enhance the cake details. 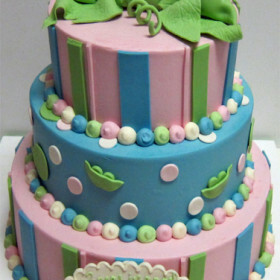 Everything about this cake is just so interesting...a bit non traditional but fun. 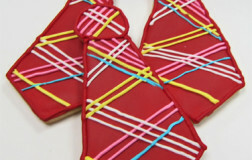 A classic pastime turned into a beautiful, colorful and edible piece of art.. 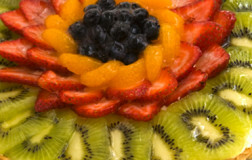 Enjoy this delicious garden dessert! Anniversary cakes are very special milestones and we can personalized a cake to suite your special event. If you have a vision or pictures that you would like to use for reference, we are happy to look at them and discuss design opportunities to bring your vision to life. 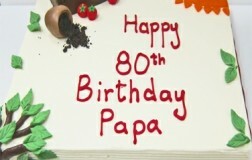 This is a fun and elegant alternative to a cake. 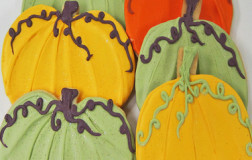 Check out our cupcake flavors for fun options! 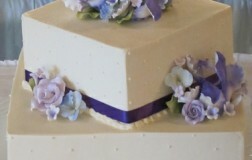 Shown in fondant finish. 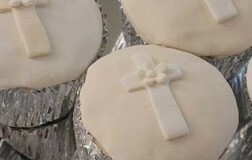 Adorned with fondant crosses and handmade, gumpaste flowers. 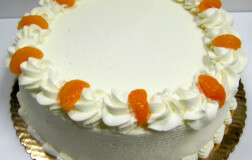 The pattern on this cake resembles waves. 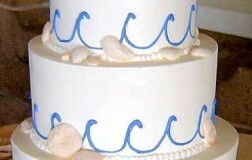 The shells on this cake are very realistic. 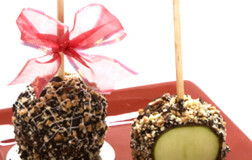 Our caramel apples make the best favors, place card holders, or special gift for that someone special in your life. Numerous toppings are available such as: dark, white or milk chocolate chunks, toffee, or toasted pecans and caramel. Each apple in individually bagged or boxes and is adorned with an elegant ribbon. 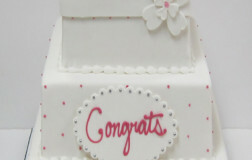 Fun and feminine florals and shoes decorate this celebratory cake. Perfect design for the sports enthusiast. Accents can be customized to suite your visions. Five tier cake to serve 180 guests. Finished in Vanilla Butter Cream Frosting. 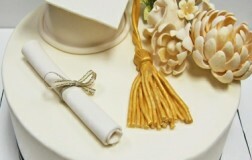 Adorned with fresh flowers and handmade Fondant Ribbon and Bows. All Rights Reserved, Copyright Scrumptions 2013.